Days before the one-year anniversary of the Oct. 1 mass shooting, the Department of Justice is proposing to ban bump stocks, a device used by the Las Vegas gunman to accelerate the rate of fire of semi-automatic rifles, the Review-Journal has learned. In late March, the Justice Department published a proposed regulation in the Federal Register and sought public comment. White House Press Secretary Sarah Sanders said Friday that the regulation has been sent to the Office of Management and Budget for review — the final step before it takes effect…. 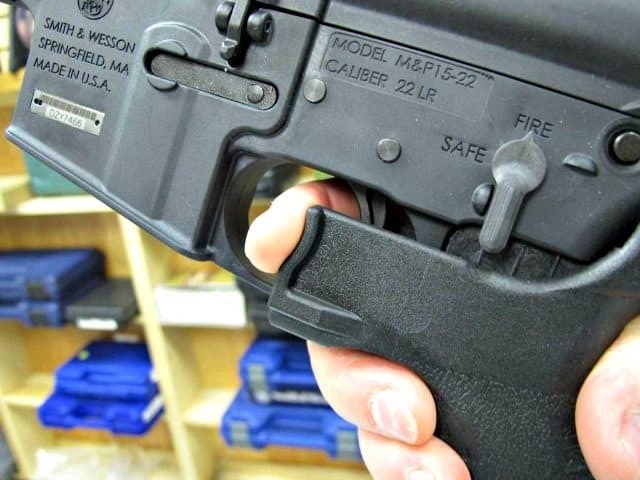 The largest manufacturer of bump stocks, Slide Fire Solutions shut down its online store in June and the company no longer takes orders for the devices. The National Rifle Association said after the Oct. 1 shooting that it supported additional bump stock regulations. However, Gun Owners of America executive director Erich Pratt opposed the Justice Department move. According to The Trace, a “nonprofit newsroom” that reports on gun violence, 85 percent of the 32,000 comments the Bureau of Alcohol, Tobacco, Firearms and Explosives received on the proposed bump stock ban opposed more regulation. Gun Owners of America plans to challenge the regulation in court. “We’ve already been planning for this eventuality,” Pratt said.